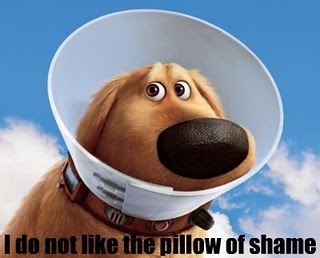 Remember Pillow of Shame #1? 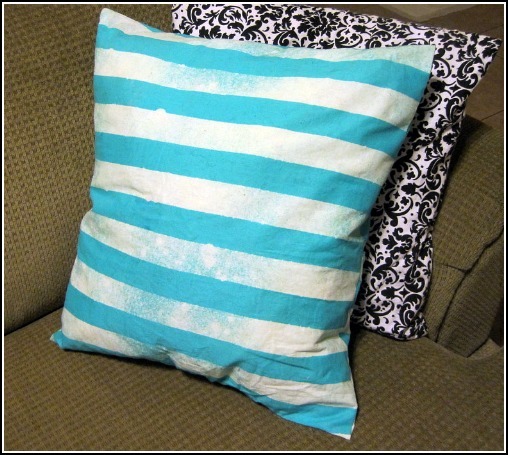 And how it was one of my “decorative” pillows for 3 years? OK, the real horror is that I let this live on my couch for 3 years + 5 months! Finally this pillow is getting a new look! 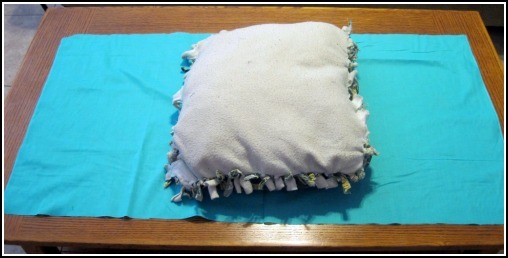 I started by laying my pillow out on a piece of fabric to “measure”. I say “measure” because I just sorta eye-balled it. 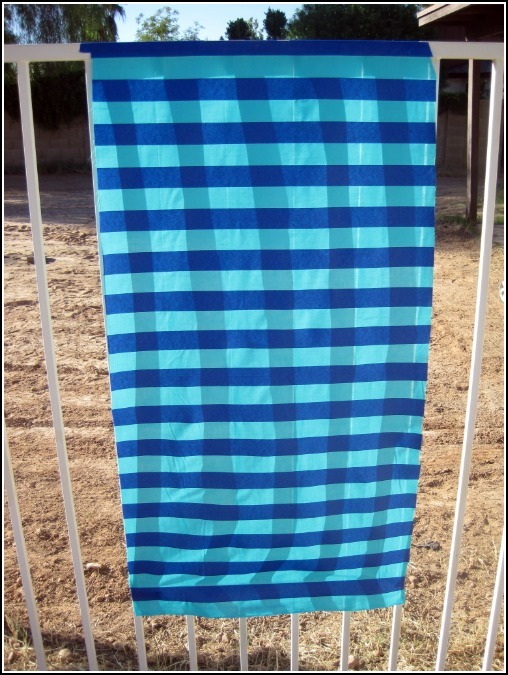 Then I used blue painter’s tape to create stripes on the fabric. 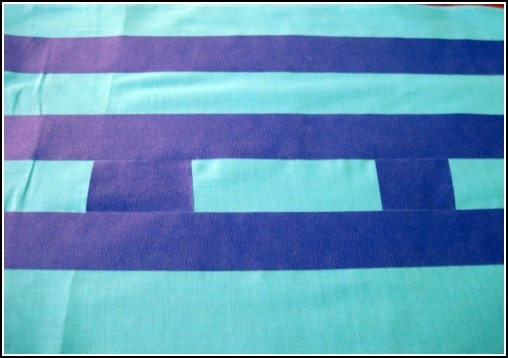 I used a couple extra pieces to evenly measure between the stripes. This is what it looked like all striped up. 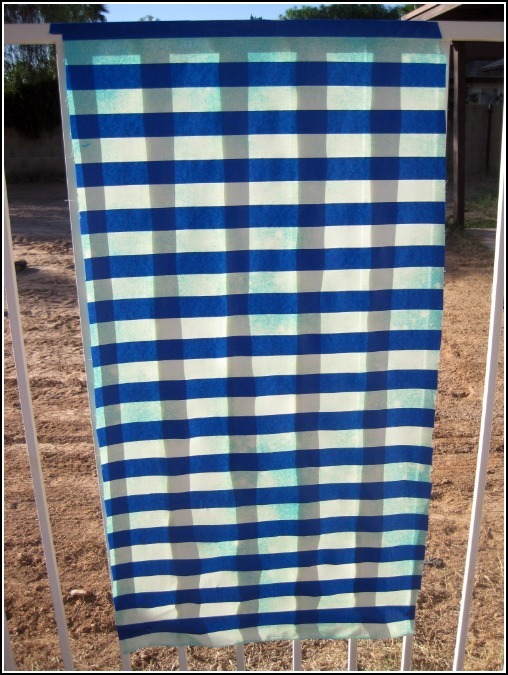 While the fabric was just “hanging out” by the pool, I mixed Clorox bleach and some water in a spray bottle. 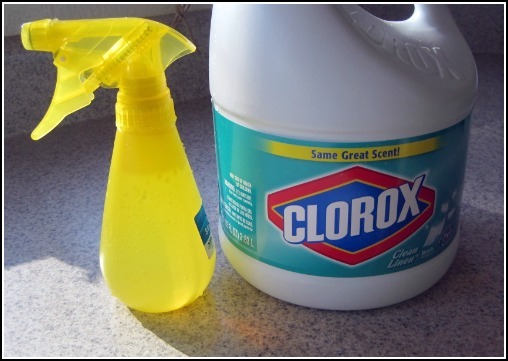 I eye-balled about 1 part bleach, 2 parts water…next time I’d use more water. Then I lightly sprayed my fabric with the bleach mixture. Just remember you can always spray more, but you can’t spray less! Oh, and please do this outside or in a well ventilated area. I don’t want you getting stoney-boloney off bleach fumes. The bleach will start working quickly. This picture was taken after only a couple minutes. Let the bleach dry, remove the tape, and then throw the fabric in the wash machine. You’ll want to wash the bleach out of the fabric before using as a pillow, obviously. 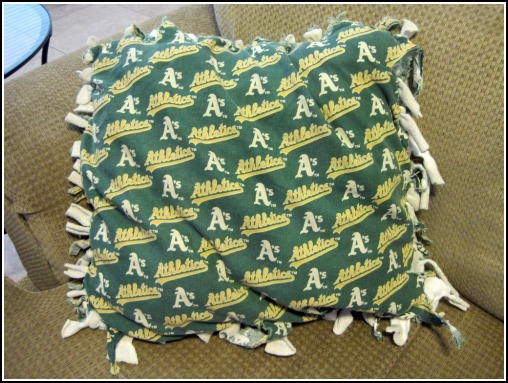 Once my fabric was washed and ironed I used the 10 Minute Pillow Cover tutorial from Alicia at Thrifty and Chic to sew a new cover (I used the same tute for Pillow of Shame #1). but that plan is on hold until puppy decides to stop chewing/eating everything. Bahhahahah I love how lil Ringo is sitting there! He's sad that you have figured out his diabolical plan! But I really like the look of the bleach on the fabric. It gives it a chic vibe without trying too hard. 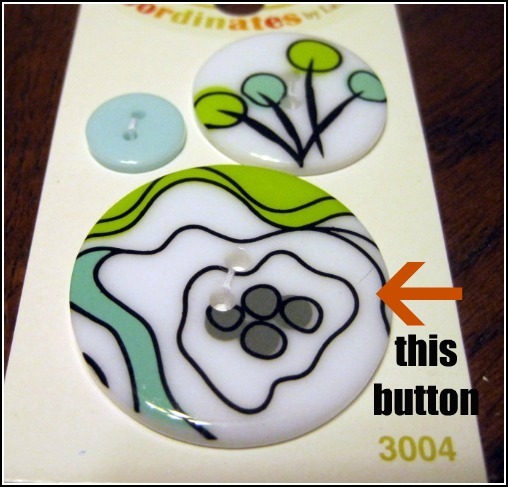 And it works great with your black patterned pillow already! Yay for layering patterns! Good work! Sorry bout it "As" the stripes are better. You do good work. Way to save the pillow and not kill your dog! the pillows look great! love the fabric! haha, that last photo made me laugh out loud!! He is so dang cute! So neat!! 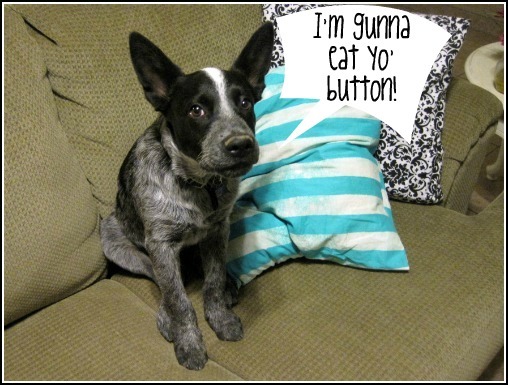 And your button eater is too cute!